Like animals some plants also makes both physical and chemical types of defense mechanism to escape from herbivorous animals. The spines found within some of plants keep them safe to some extent. But most of plants produce different kinds of chemical upon contact with animals or humans. In that way plants indirectly defend against animals and humans. Followings are list of 10 most poisonous plants in the world. Rhododendron is a attractive spring blooming plant native to Asian countries. This plant blooms flowers in late spring, color of flowers varies as pink, violet, red, yellow and white. 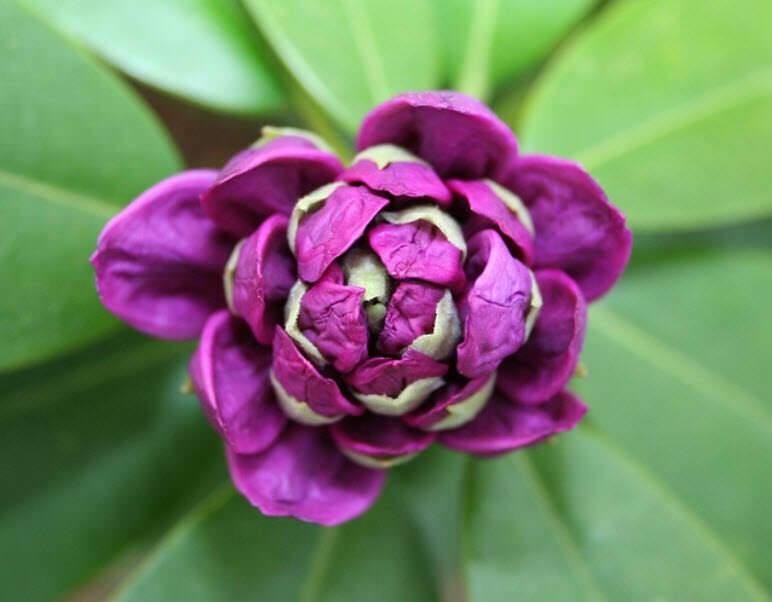 But most of all part of rhododendron plant contains toxin. Andromedotoxin, grayanotoxin and rhodotoxin are main toxic elements found within rhododendron plant. But high concentration of toxin found within leaves of rhododendron. The farm animals are more likely to consume leaves and other parts of rhododendron. Vomiting, slow heart rate, falling and exhaustion are the different symptoms found within animals after consuming parts of rhododendron. The accidental consumption of this plants also makes weakness, difficulty in breathing, loss of balance and salivation in humans. Jimsonweed also known as devil’s weed, hell’s bell and devil’s trumpet, grows across United States, Canada and some of Caribbean Islands. The plant have power to alter mind condition, act as a powerful hallucinogen. But elements of poison can be found within most of all part of Jimsonweed, mostly concentrated in leaves and seeds. Jimsonweed plant grows up to height of 3 to 5 feet and it’s roots grows long. The leaves of this plants also have length between 5 to 8 inches. Cream or violet colored fragrant flowers also blooms throughout the summer season. The toxicity in jimsonweed varies by plant’s age, climate and place it belong to. The careless usage, especially by sucking juice of eating roots, leaves of Jimsonweed will affect your nervous system, eyes, ears, throught and mouth, overdose also result in death. 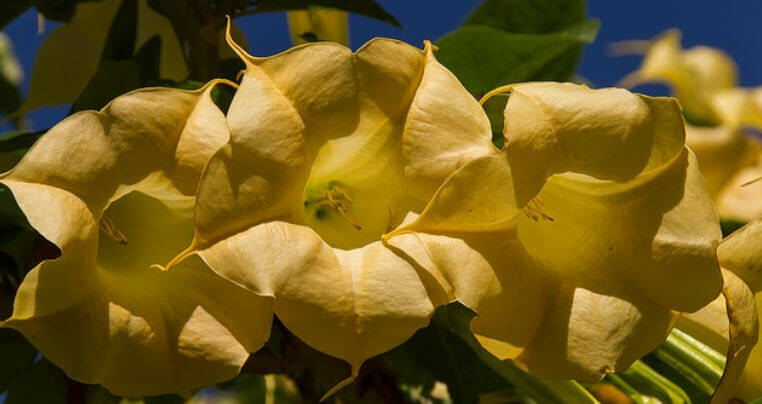 Angel’s trumpets are large shrubs that are native to tropical regions of South America. The plant derive this name from it’s large fragrant flowers. All parts of this plant contains highly poisonous tropane alkaloids. The high concentration of toxins found within seeds and leaves of angel’s trumpets. The trumpet-shaped flowers of this plant have length between 10 to 20 inches. The flowers makes strong pleasant fragrance, color varies as white, yellow, orange and red. The consumption of leaves, seeds or stem of angel’s trumpets can cause nausea, diarrhea, paralysis and hallucinations. At same time the over consumption also result in death. This flowering plant grows within hilly parts of Northern Hemisphere. Aconite also called as monkshood, wolf’s bane and Leopard bane. Most parts of monkshood plant contains poisonous alkaloid. The roots and rot tubers are extreme toxic in nature. Ancient Greeks used it’s toxin for killing leopards and wolfs and it called as wolf’s bane. Aconite plant stands up to height of 6 feet. The large blue, purple and white mixed flowers are so attractive. The flowers of aconite makes resemblance with monastic heads. 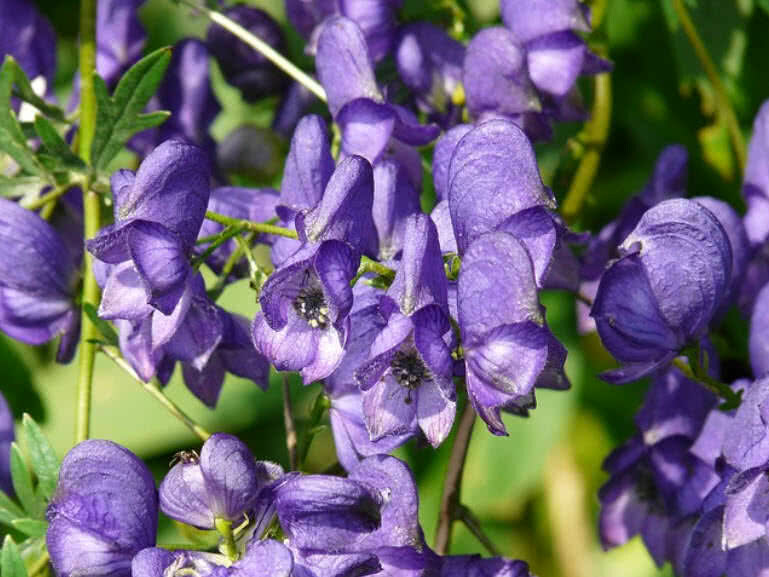 The accidental consumption of aconite result in burning, vomiting and diarrhea. It also make variations in blood pressure, heart irregularities and coma. 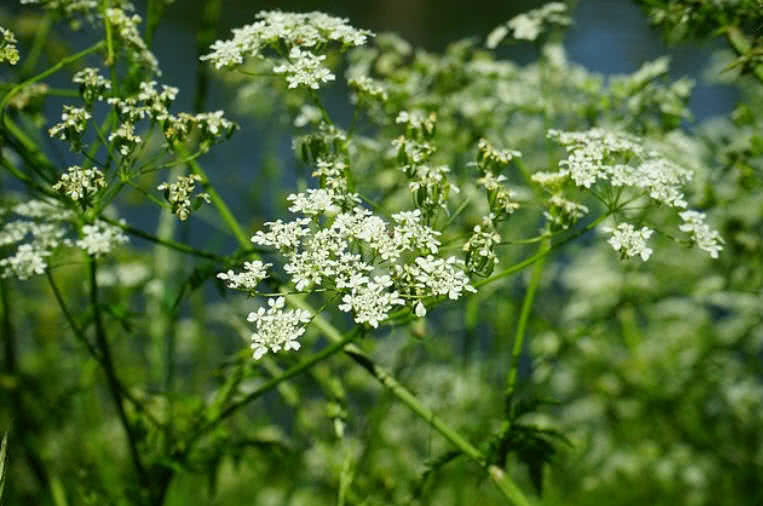 Cicuta plant also known as water hemlock, one of the most toxic plants that grows in North America. 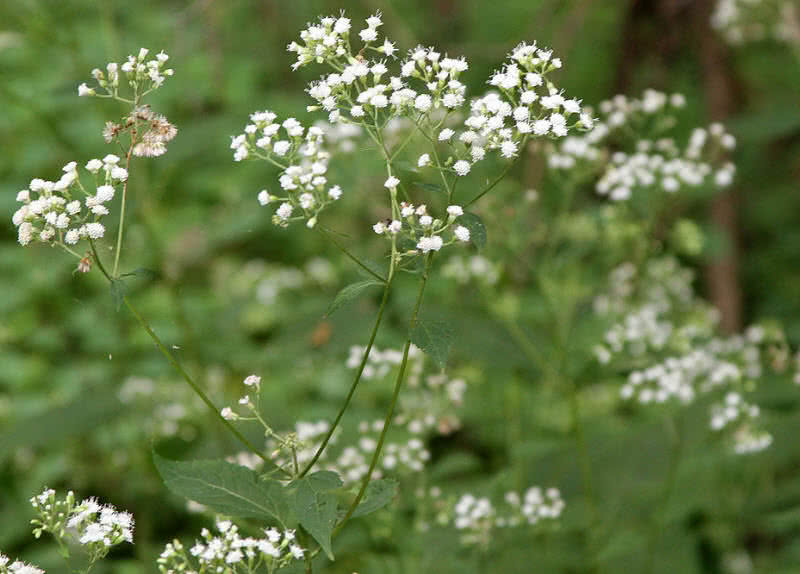 Cicuta plant reaches up to a height of 2 to 2.5 meters and have small umbrella shaped green or white colored flowers. The plant also have thick main stem and it contains extreme toxic liquid. It is highly dangerous for humans, will affect central nervous instantly. Poison hemlock other member of same Apiacea family sometimes confused with water hemlock. Both are poisonous but in different way. The roots and seeds of these plants are also toxic, mainly affect cattle and other animals on grazing. White snakeroots are around three feet tall poisonous plant native to North America. The plant contains chemical element known as tremetone. Consumption of high amount of white snakeroots cause death among cattle. In other case the milk and meat of a cow that consumed white snakeroot becomes contaminated with tremetone toxin. This poison will pass to human via consumption of meat or milk. This type of poisoning in humans known as milk sickness. This condition makes vomiting, weakness, pain, coma and also cause death in some cases. More than thousands of people died of milk sickness in 19th century. Nancy Hanks Lincoln, Mother of Abraham LincoIn who died of milk sickness in 1818 became most notable victim among them. More than plant seeds of rosary pea can be easily recognizable, attractive scarlet color seeds. It grows in tropical regions around the world. 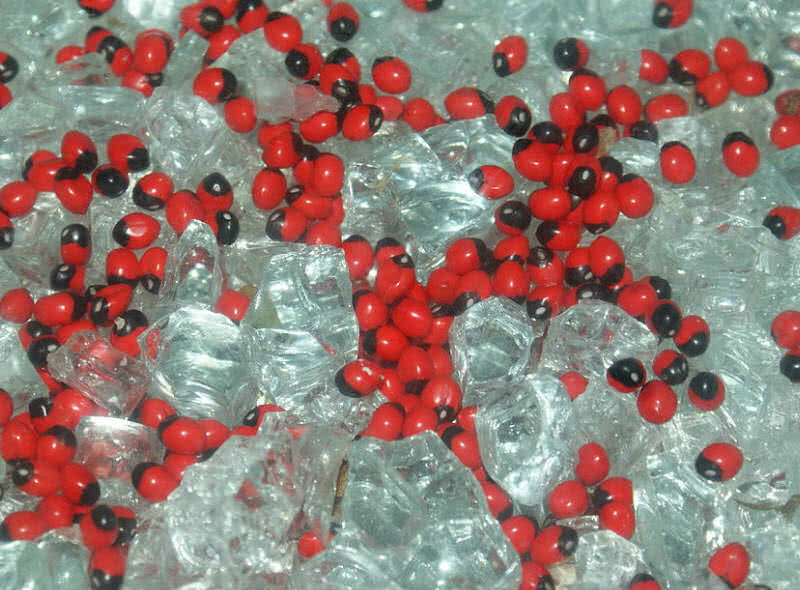 The attractive seeds of rosary pea used as beads in many places of India and Indonesia. At same time it is highly toxic due to presence of natural poison known as abrin. Breaking the shell could be expose abrin from seeds of rosary pea. Once consumed abrin will makes severe changes within your body. This poison will prevent cells from creating proteins they demanded, cells die by time. Difficulty in breathing, vomiting, diarrhea, dehydration and pain for eyes. The high rate of exposure of abrin also cause death within 72 hours. Oleander plant also known as nerium is an evergreen shrub native to Southeast Asia. It is found as a garden plant and it’s all parts is toxic. Digitoxigenin, neriin, oleandrin, olendroside are main poisonous ingredients, mainly concentrated within leaves and stem of the plant. The plant also blooms sweet smelling flowers in cluster, color varies as white, pink to red. Unfortunately the flowers of oleander also contains toxic elements. But toxic elements within oleander plant is insensitive to birds. 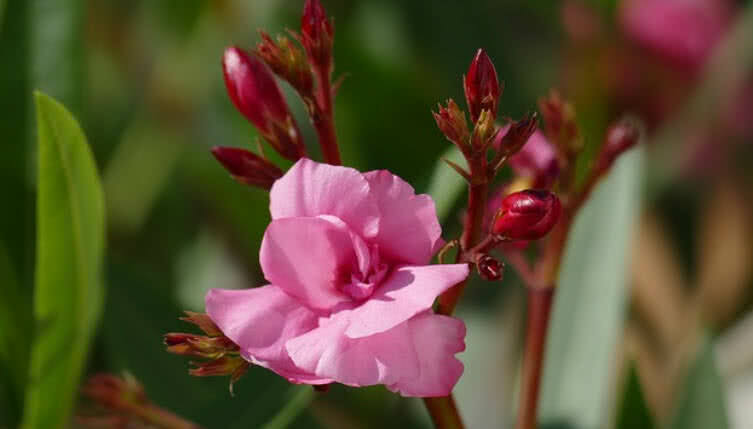 But the ingestion of oleander will affect the heart and central nervous system of humans. It makes irregular heart rate, vomiting, salivation and diarrhea. The poisoning from oleander can be affected by chewing it’s leaves or tasting nectar of the flower. Everyone is aware about castor oil which is used to treat different skin conditions, to reduce pain and as an antiviral. 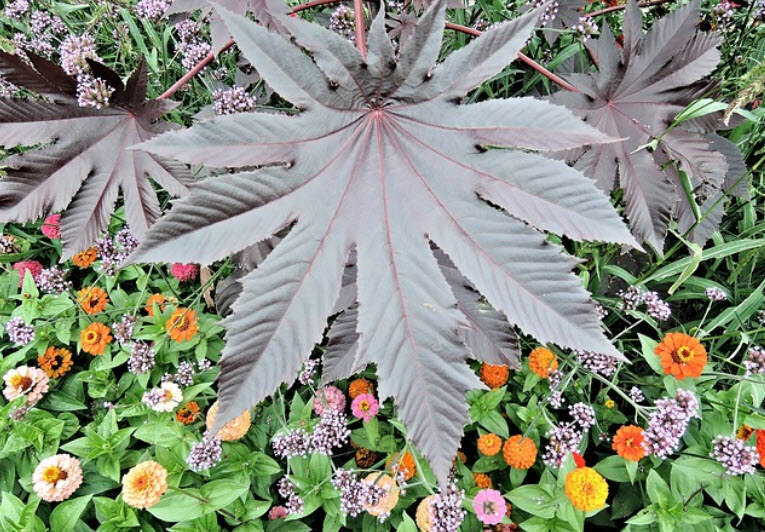 The castor bean plant, the flowering plant from which castor oil comes from is actually high poisonous. Castor oil is made from seeds of castor bean plant but this seeds contains ricin, extremely dangerous toxin. It is also present in other parts of castor bean plants but in low concentration. In fact ricin is 6000 times more poisonous than cyanide, one of most poisonous thing ever known. But poisoning from castor beans merely depends upon amount of seeds consumed by the victim. The effect of castor beans in animals also varies by species. In humans it makes burning in mouth, pain, drop in blood pressure and diarrhea. Without proper treatment it also cause death within 24 hours. Astropa belladonna also known as deadly nightshade an extremely poisonous plant that native to Eastern hemisphere. This plant contains different chemicals that have power to block functions of nervous systems of the body. 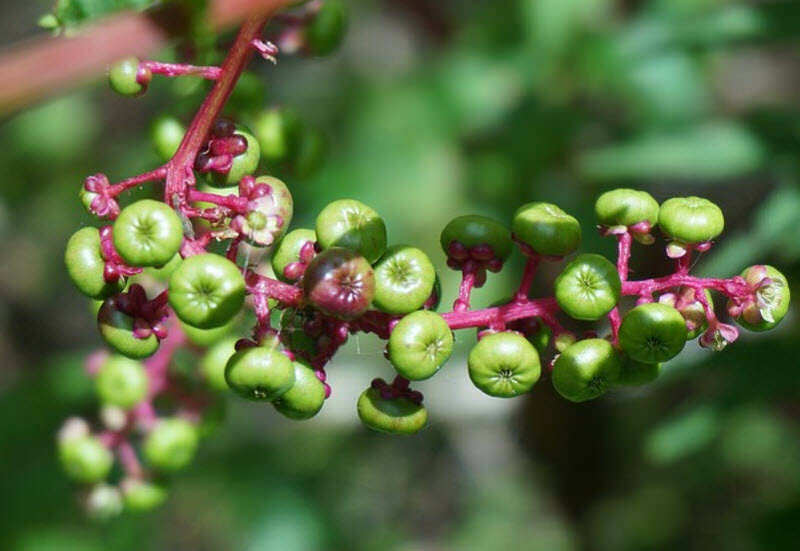 So it is used as anticholinergic agent, used to treat diseases like asthma, muscular spasms and excessive sweating.At same time both berries of leaves of this plant contain highly poisonous tropane alkaloid toxin. Ingestion of two or more berries of leaves of this plant can cause death of human adult. 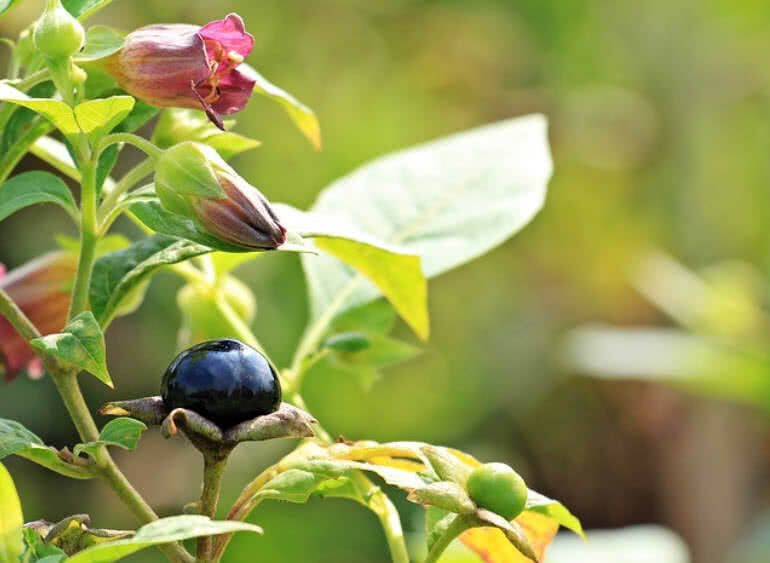 There is also possibilities of thinking belladonna berries as blueberries by children. The poisoning of belladonna makes various signs such as blurred vision, loss of balance, head ache, hallucinations and urinary retention.